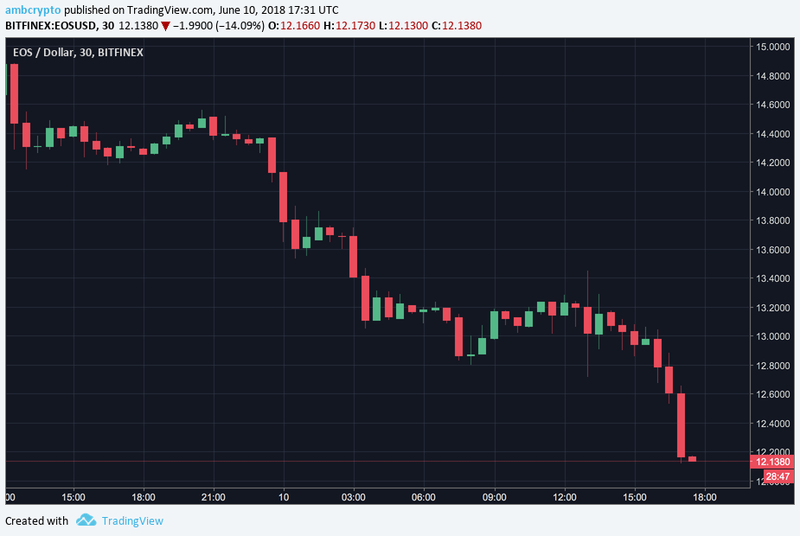 A smooth and gentle market turned red again this Saturday night when Bitcoin, Ripple and other cryptocurrencies dropped dramatically over a 2 hour period. Bitcoin was comfortably trading at $7600 when this sudden drop pulled the prices back down to $7100. Another report stating that the “Bitcoin whales are still active” has according to many analysts cast a shadow of doubt over many amateur and longtime investors. There are also many that call the current drop in prices a fake drop as it does not have the supporting trading volume like it had in early January this year. Sentiment Analysis is a segment which is published occasionally after crunching numbers and data to consolidate the sentiments received through various channels. People from all walks of life including journalists, investors, techies, gamers, and miners have been asked regarding their sentiments regarding specific tokens and hand-picked comments are filtered out below. This is purely opinionated and the conclusions are just a final set of “Yes” and “No” after consolidating the entire data. Bitcoin at press time was trading at $7230 to a token with a market cap of $124 billion and witnessing a drop by 5% in the past 24 hours. The current market dominance is at 38.7% and generally is inversely proportional to the growth in prices in the market. Bitcoin is one such token where the trading volumes are diversified with the biggest share going to Binance’s USDT pair which just makes up for 5.18% of the entire transactions. In conclusion, an unexciting 45% feel that Bitcoin will not experience any pump soon as the markets are still not ready for a bull run. Another 55% are very sure that by this year-end Bitcoin will surpass its 20K previous high. Post the successful launch today, EOS at press time was trading at $12.11 with a market cap of $11.2 billion and still at the 5th position witnessing a massive 12.2% drop in the past 24 hours. The launch was plagued with a lot of allegations regarding the partiality and “centralized” nature of the voting around the time of the launch. In the end, according to the community the “FUD”ers failed in their plot to disrupt the integrity of the entire process. In conclusion, despite the current confusion with people demanding the Ledger Nano support, a good 59% feel positive about the entire Main Net launch. They feel that EOS could be easily hit $18 and above in the next few months. The other 41% felt that there will be a significant selling pressure soon especially with the confusion in voting and people generally cashing out.